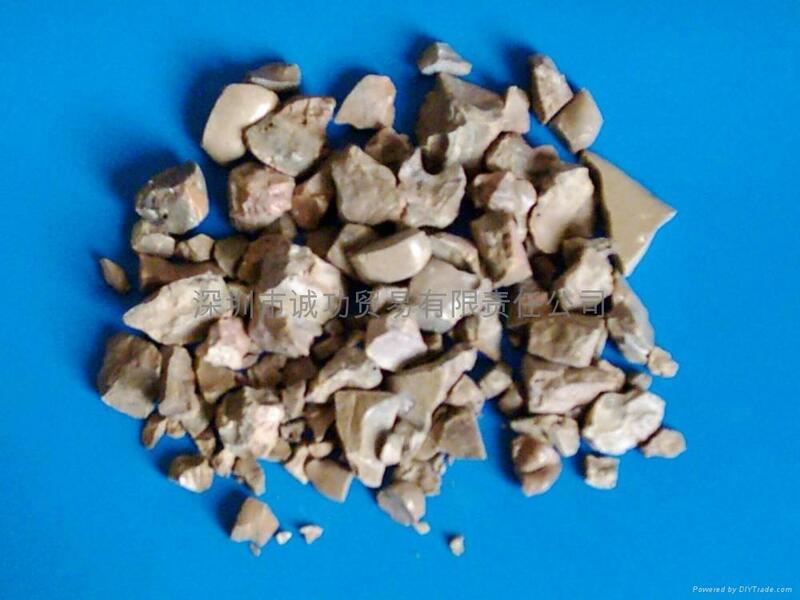 Shenzhen Chenggong Building Materials Co., Ltd. supply Calcium Aluminate for metallurgy industry. Chemical Composition: CaO 49-54%, Al2O3 41-45%, SiO2 3.8%Max, Fe2O3 2.0%Max, TiO2 3.0%Max, MgO 2.0%Max. Chemical Composition of the goods are negotiation. CaO 49-54%, Al2O3 41-45%, SiO2 3.8%-6.0%Max, Fe2O3 2.0%Max, TiO2 3.0%Max, MgO 2.0%Max. 2, Big sulfur absorption capacity of slag stream; good desulfurisation, oxygen-removing and phosphorus-taking off properties; efficiently absorbing the impurities in the steel at the same time. 3, Capable to increase the refining efficiency and the life of steel ladle largely.